"Hey! Welcome to the 51st year of Texas!" 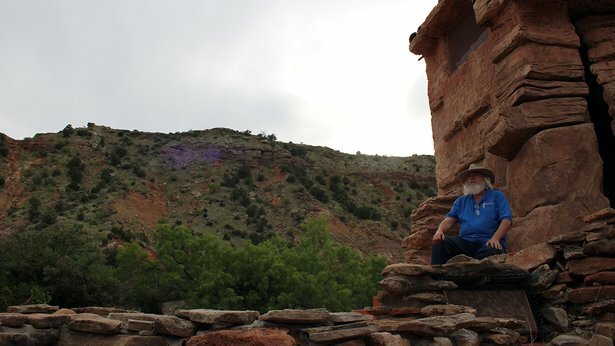 As director Dave Yirak welcomed this year's cast and crew of the storied outdoor drama to Palo Duro Canyon State Park, the cheer that erupted on this cool spring evening rang through the amphitheater and canyon walls. It won't be as loud as the applause these young performers will soon become accustomed to hearing — nor will the weather likely be as cool and reasonable as what they'll be feeling in the dog days of August, when they're once again getting ready to return home to cities all across the country. This is what summer in Amarillo means for a hundred or so young actors, singers, dancers and musicians, picked from nationwide auditions to take part in one of the country's oldest continually operating outdoor musicals. 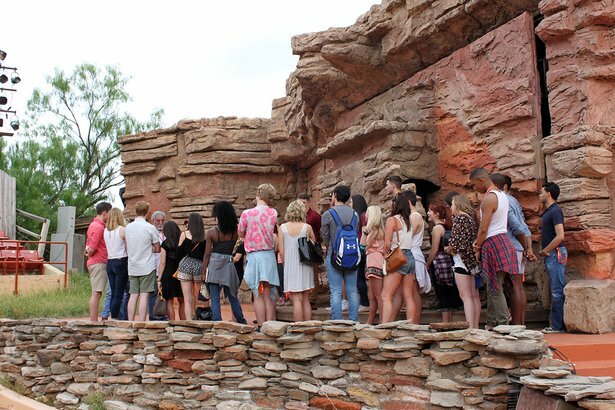 Every year, the cast and crew converge on Canyon a few weeks before opening night of Texas, which falls this year on June 3. 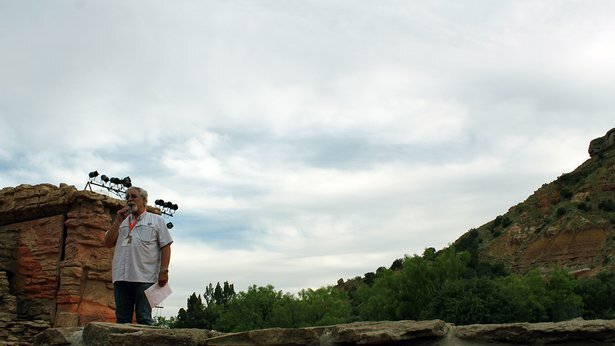 After a day filled with signing payroll paperwork, getting measured for costumes, writing biographies for the program book and getting headshots taken, the cast and crew have gathered in Pioneer Amphitheatre in the heart of the canyon. For some — more than half, judging by a show of hands — it's their first exposure to the outdoor stage that will be their home six nights a week through Aug. 20. For others, including the artistic staff, it's old home week. Yirak himself has been an actor in the show in the 1970s and again in the early 2000s, and artistic director since 2005. On Wednesday, he introduced the new cast to music director Cloyce Kuhnert, who has been in the cast or on staff for 25 nonconsecutive years after first joining in 1980, and choreographer Crystal Bertrand, who first came to Canyon in 1989 to dance in the show and rejoined as choreographer when Yirak became artistic director. "You won't like Crystal, but at the end of the summer, you'll love her," Yirak warns the cast, particularly the non-dancers who Bertrand will teach. The new cast also met Kris Miller, the jovial Santa Claus-type who plays the show's comedic relief character, irrepressible Tucker Yelldell, when he's not working in the office as the show's executive director. He tells them, while patting an ample belly, that he was a dancer when he first joined the cast in the early 1970s; the veteran cast members chuckle knowingly. After being introduced to park rangers, horse wranglers and Gene Vaughn Morrison, an attorney and longtime board member who's also the "oldest living Rider on the Rim," according to his Texas business card, the cast and crew split off into group meetings for dancers, musicians and so on before breaking for a dinner catered by Canyon-based Feldman's Wrongway Diner, which will provide dinner for audiences throughout the summer. The hard work will begin the next day, whether it's learning the dance steps, how to run the spotlights or how to ride a horse onto a concrete stage. Tonight, it's about fun and family — because if there's anything the Texas company believes, as borne out by times both joyful (last year's 50th anniversary celebrations) and sorrowful (accidental deaths of company members in 2013 and 2015, most recently), they are a family. "This is an ever-growing family," said Reilly Downes, a Canyon native who's returning for her fifth year as rootin'-tootin' cowgirl Parmalee Flynn. "It would feel wrong to not be at home. ... I've spent years with some of these people." 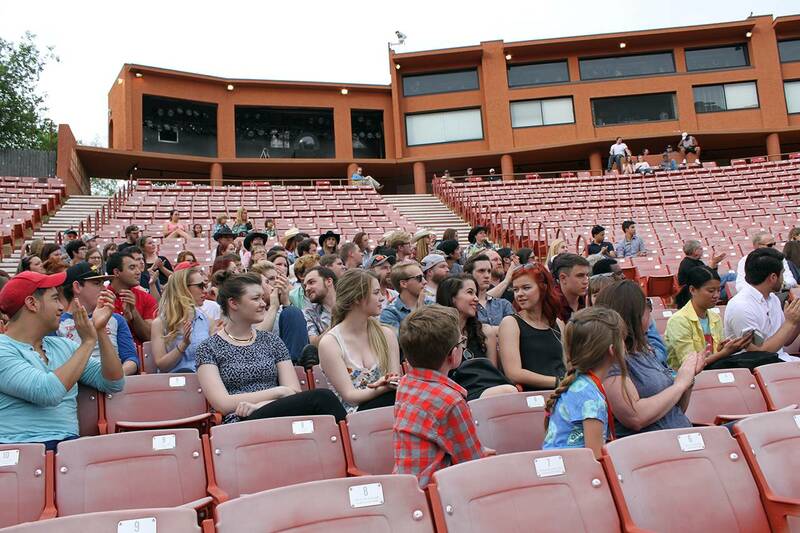 "The people you meet," Yirak said, "those right here sitting in this amphitheater — you're what's right with the world. There's so much hate, so much divisiveness. But we bring beauty. We bring art. "I want you to honor your craft — whether you're an actor, a singer, a dancer, a wrangler. I want you to bring honor to what you do each and every night. "And hey," Yirak said in closing, "I look forward to this summer. Let's make it a good one." Texas will be staged at 8:30 p.m. Tuesdays through Sundays from June 3 to Aug. 20 in Palo Duro Canyon State Park's Pioneer Amphitheatre. Call 806-655-2181 or visit www.texas-show.com.